Turkish press reports on Wednesday said Ayse Surucu has been sentenced to a suspended one year and eight months in jail after she allegedly violated Law No.2911 on meetings and demonstrations. 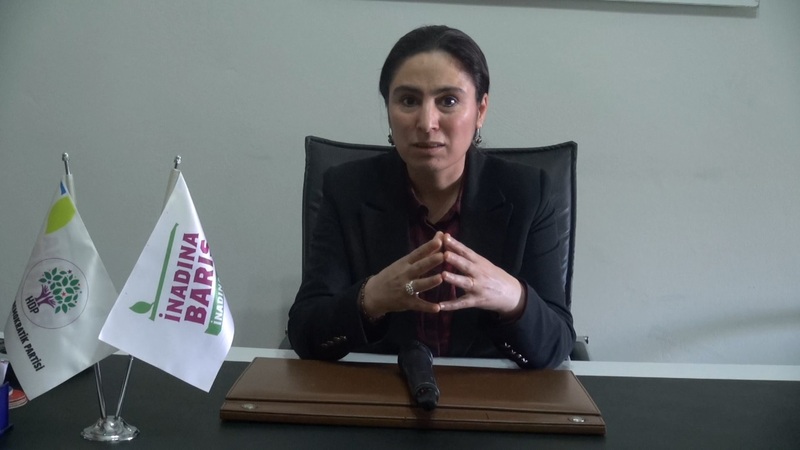 Surucu, an MP for the opposition pro-Kurdish Peoples’ Democratic Party (HDP) in Sanliurfa province, was accused by the local Prosecutor’s Office of participating in an event at Sara Women Center on March 8, 2016, that had been banned by the Sanliurfa Governor’s Office. The female MP was not ready at Sanliurfa 6th Heavy Penal Court during the trial. She was represented by her lawyer Hidayet Enmek in the hearing, asking for the trial to be halted since Surucu is an MP. The prosecutor repeated the demand for sentencing in the dictum. Following a short break, the court handed down a suspended prison sentence of 1 year, 8 months and 15 days on a charge of allegedly violating the Law No. 2911 on meetings and demonstrations. The MP’s lawyer vowed they will appeal the sentence, as they have that option available. The Turkish government accuses the HDP of having links with the outlawed Kurdistan Workers’ Party (PKK). In the wake of a failed coup attempt on July 15, 2016, in Turkey, the HDP has been one of the main targets of the Turkish government which has launched a massive crackdown on its dissidents. Following the failed coup, 16 HDP lawmakers were arrested over alleged terror charges. Nine lawmakers, including former co-leader Selahattin Demirtas, are currently behind bars. PKK, listed as a terrorist organization by Turkey, has waged an insurgency against Turkey, seeking initially independence and lately autonomy for the Kurdish minority in the country since early the 1980s.